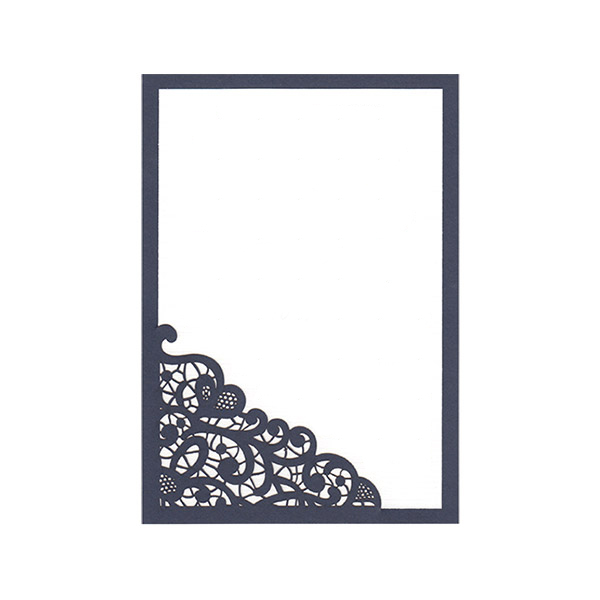 Lace will never go out of style. 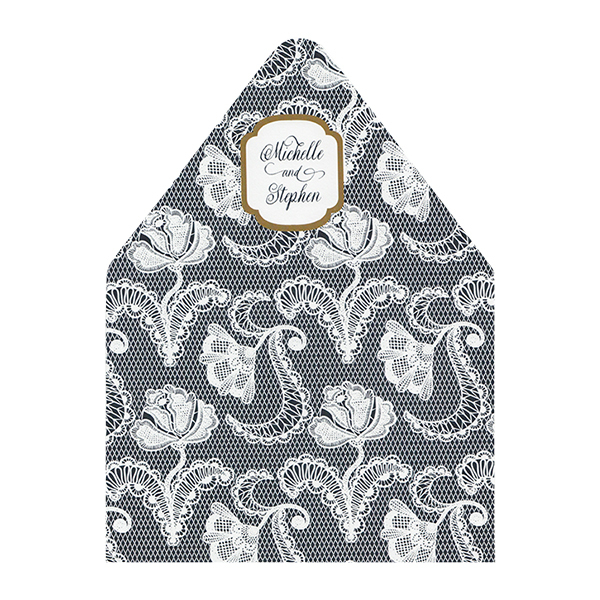 It’s beautiful and timeless, and gives your wedding invitations a classic, elegant look. 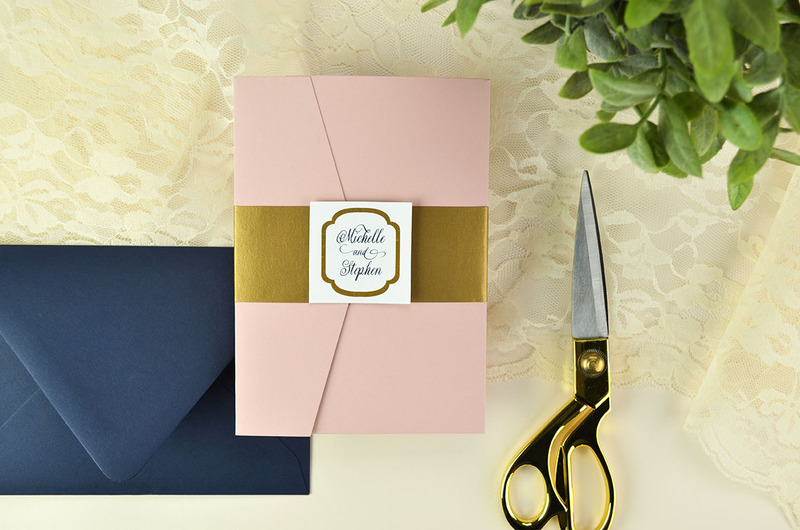 This suite uses one of our free wedding invitation templates, with three inserts included that you can edit and download – perfect for a pocket. 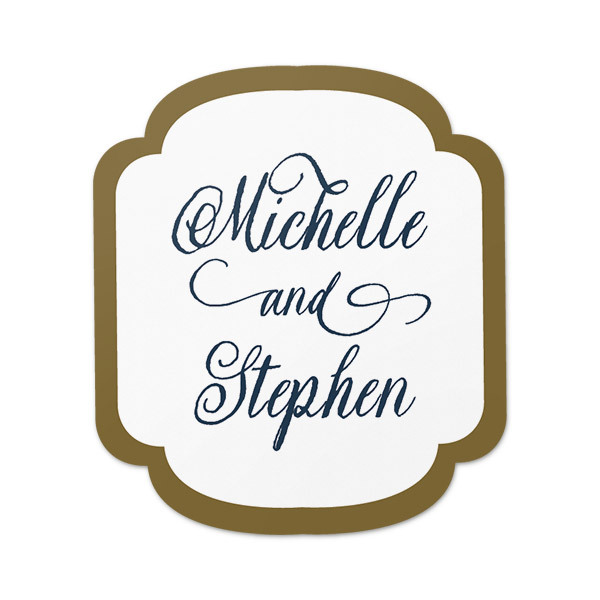 We used a combination of blush, dark blue, and gold, but you can change any of the colors to change the suite completely. 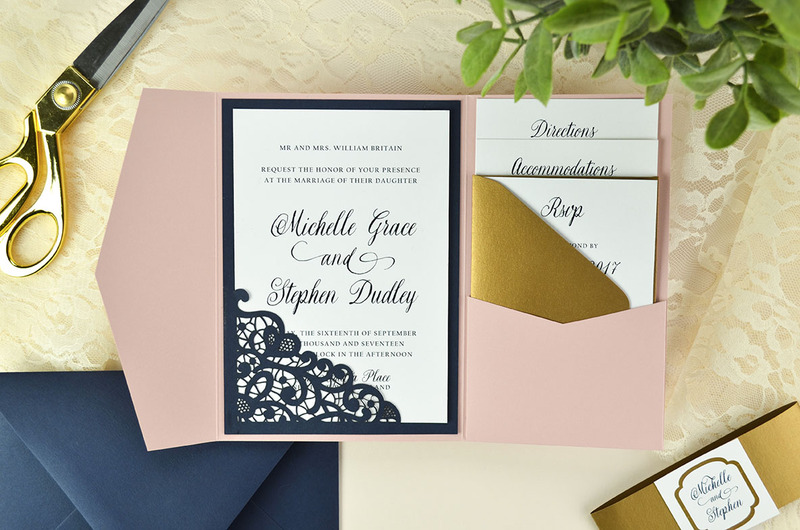 Get started on your DIY invitations by visiting our free wedding invitation templates and editing the “Lace” full suite with all of your wedding information. 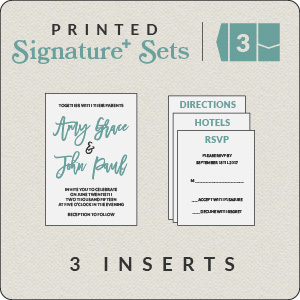 Download each insert and print at home on blank cardstock or pre-cut inserts, or order printing from our website for $1.86 per set. Assembly is easy! 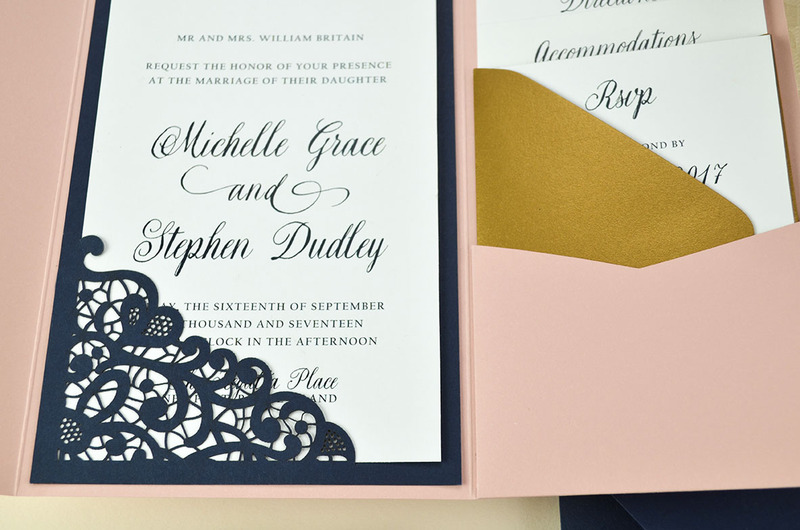 Start by sliding your invitation card under the lace laser-cut design in the corner of the slide-in. 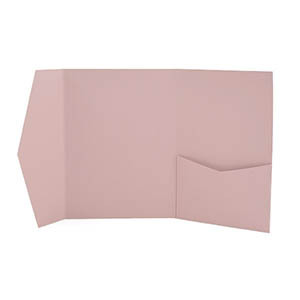 Flip over and put a thin line of glue around the edge of the slide-in card, being careful to avoid getting glue on the invitation card itself (guests will need to slide it out to see all of the printed information). Center on the middle panel of your pocket and press down to secure. 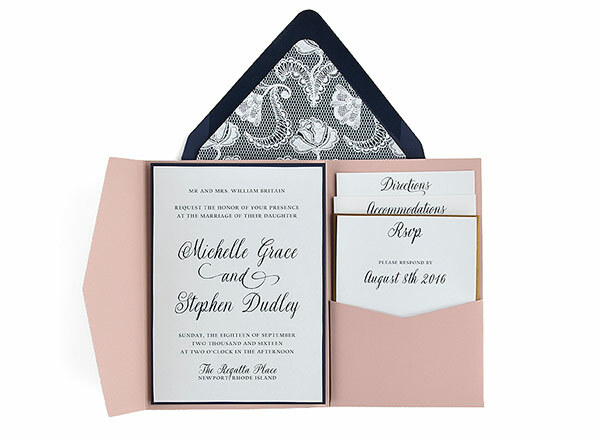 Tuck your RSVP card under your pre-addressed and stamped RSVP (A2) envelope, and stack your inserts before tucking them into the pocket on the right. 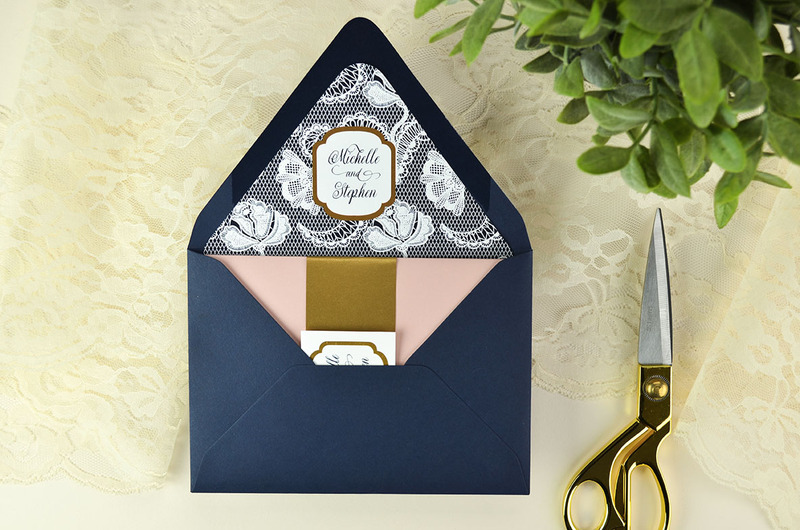 Fold up your pocket, and secure with a belly band, lace, or ribbon and then slide the whole thing into your mailing envelope. 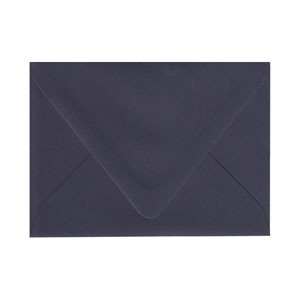 Make sure to have your mailing envelope addressed and stamped before you slide in your invitation. 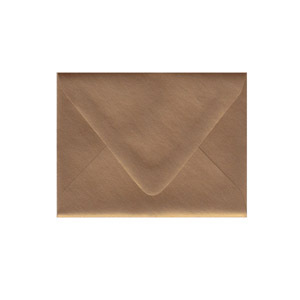 We recommend Envelope Moistener with adhesive for a secure seal on your envelopes. You’re done! 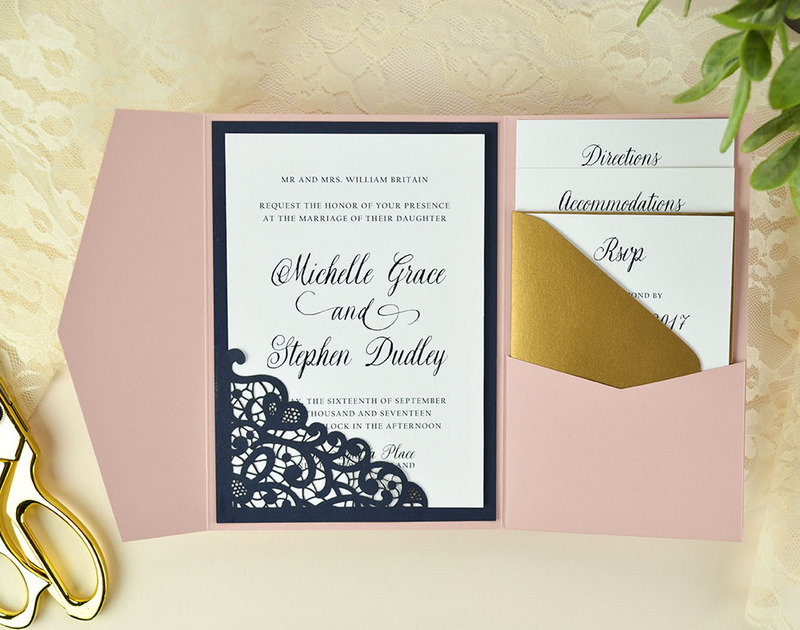 As always, you can really change the look of this invitation suite by changing the color of any of the pieces. 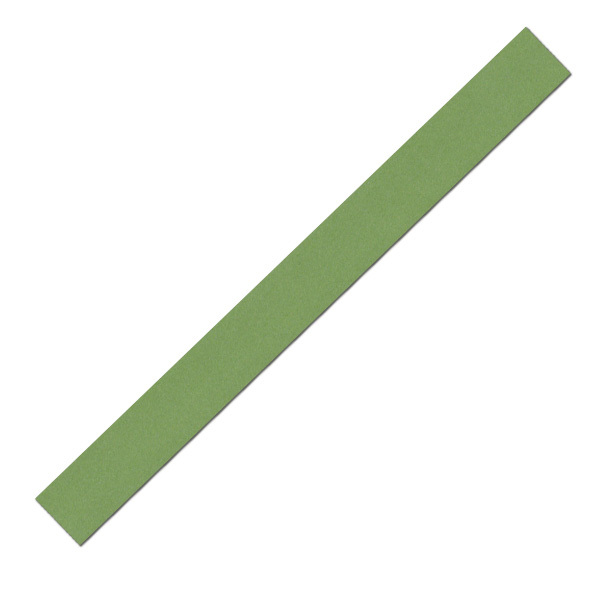 We have over 80 colors to choose from, so you can customize to fit your wedding colors.